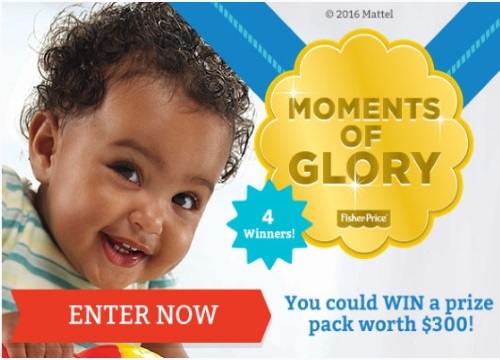 Mattel has a Mattel Global Medal Moments Contest on now! Enter to win a $300 prize pack for our child's age and stage from Mattel. There are two prize pack bundles available: the baby prize pack and toddler prize pack. There are four prizes being given away! Contest closes August 28, 2016. Quebec is excluded.